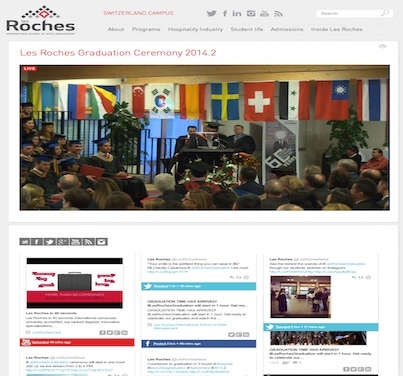 Les Roches is an hospitality management school in Crans-Montana, Switzerland. The school asked globalvision to broadcast in live the graduation ceremony. This streaming has been broadcast on the school’s website and on a plateform dedicated and already recolted more than 4’000 views ! All of the streamings made by globalvision are customizable according to your brand. globalvision provides a professional equipment that allows until 10’000 simultaneous connections. If you would like to broadcast your event, contact globalvision.